We're excited to see how the tikbalang will be part of the narrative! Fans (ahem, including us) have been getting all worked up over Nadine Lustre's latest project, a mysterious film called Ulan. When the trailer dropped on February 7, the three-minute sneak peek included mythical creatures such as the tikbalang, and sad, chilling music, which led viewers to think that it's going to be a horror film. During an interview with ABS-CBN News, Nadine debunked fan theories about Ulan, saying, "Wala siyang bahid ng horror which is surprising for a lot of people. Ang iniisip talaga nila because may tikbalang, horror or thriller. It's actually romance. It's a love story. It's about finding yourself." 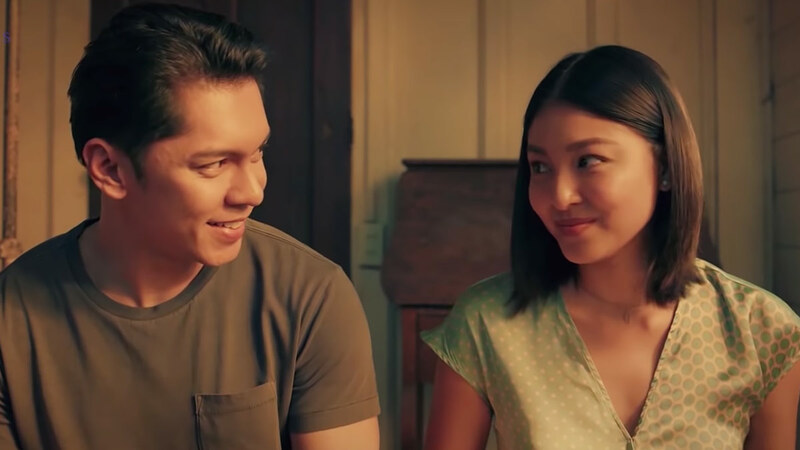 According to Carlo, who plays one of Nadine's love interests in the movie, Ulan is about Maya's fascination with rain. "Na-fuel pa 'yon dahil sa mga kuwento ng lola niya tungkol sa mga tikbalang. Kapag kinakasal daw sila, umuulan tapos pinagbabawalan silang umibig. Habang lumalaki siya, nagkakaroon ng iba't ibang kahulugan ng pagbuhos ng ulan." While we initially thought Carlo's character was going to be a college student, he revealed that Peter is actually a volunteer from a non-government organization who has a "very optimistic" outlook in life. Ulan, which is directed by Irene Villamor (Sid & Aya: Not A Love Story, Meet Me In St. Gallen), will be Nadine's first big screen project without onscreen partner and boyfriend, James Reid. The film comes out on March 13, 2019!